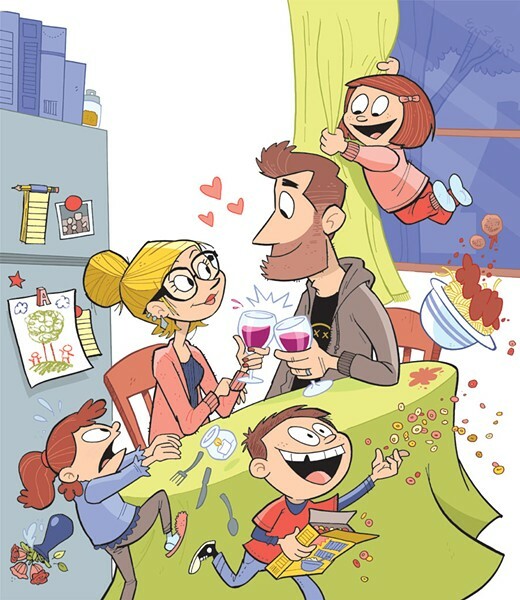 Four Pairs of Parents Reignite Romance on Unconventional Dates | Features | Kids VT - small people, big ideas! Raising kids is a lot of things — challenging, gratifying, maddening, joyful — but romantic it is not. Parents of young children are sleep-deprived, overworked and run ragged much of the time. They cling to one precious goal: Make it to bedtime in one piece. Under those circumstances, maintaining a loving relationship with a partner can be a real challenge. Last October, Williston writer and mom of two Angela Arsenault found a novel way to tackle it. She launched a blog series on the Kids VT website called "Will You Go Out With Me?" In the first post, she explained her plan to start "dating" her husband, Guster lead singer Ryan Miller, again. They're not just heading to dinner and a movie — Arsenault and Miller are getting outside their comfort zones, trying new activities in an attempt to see the world, and each other, with fresh eyes. "Can we keep our relationship healthy if it remains on the periphery of our child-centered world?" she wrote. "The answer, I fear, is no. I've finally come to understand that if we're not paying attention to the relationship that started it all, we're doing it wrong." Her reports of their first two dates —at Talent Skatepark and Satori Float Spa — struck a chord with readers, who responded immediately, and enthusiastically. "Brilliant!" wrote one commenter on our website. "I can't wait to read more!" We got the message. In honor of Valentine's Day, Kids VT sent four writers, including Arsenault, out for unusual date nights aimed at shaking up the routine. The goal was for each couple to do something they'd never done together, such as roller-skating or fashioning a homemade lamp. We hope the date-night dispatches below — and the ones on our blog — inspire you to get out of the house and try something new. As we discovered, it doesn't take much to make time without the kids feel special — just a good laugh, a great burger or an afternoon lounging in robes. 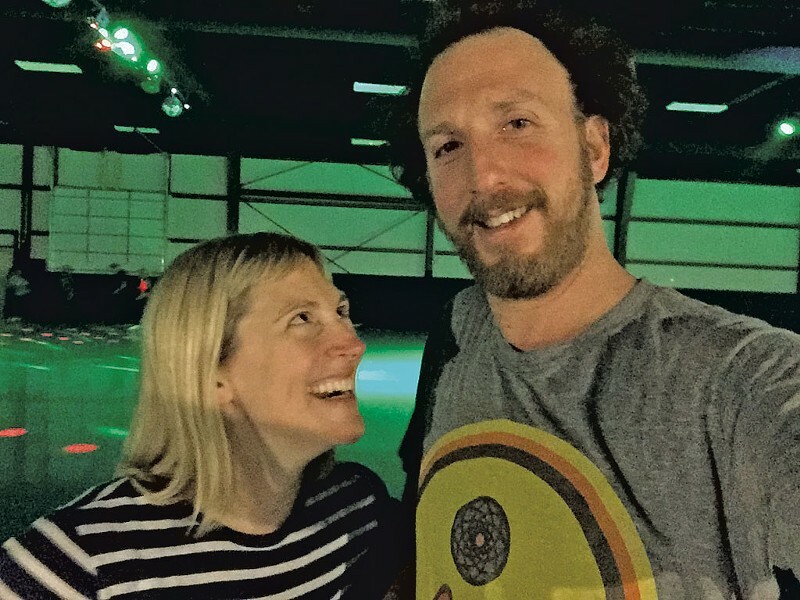 Angela Arsenault took her husband, Ryan Miller, to Skateland Vermont in Essex. Here's her take on the date. How did you meet? I was working for Ryan's band, Guster. I had been a fan and met the drummer after a show. We became friends, and when I graduated from college, he asked me to tour with them as the "merch girl" — the one who stands behind a table and sells T-shirts and CDs. There was no immediate love connection between Ryan and me, but after a few months living on a bus together, it became obvious that we liked each other — like, liked each other. 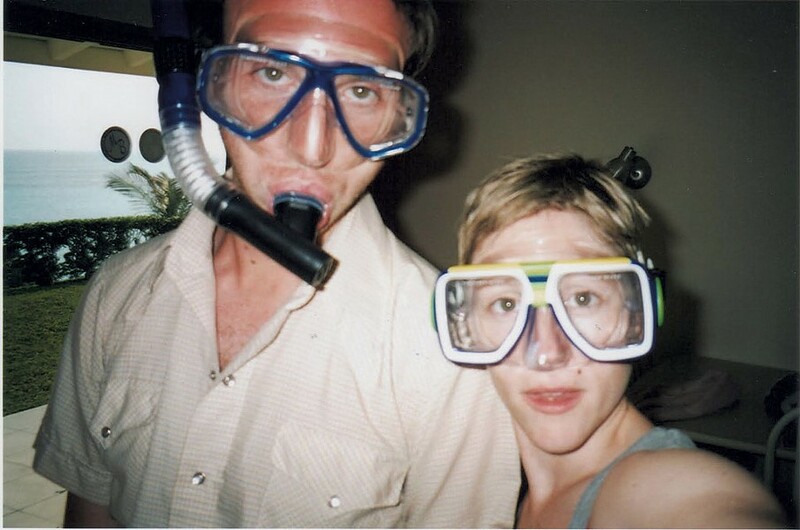 Best date before kids: Four days in Bermuda. Typical date after kids: Dinner at a restaurant with minimal conversation and habitual checking of phones for texts, emails and social media posts. Then probably a movie. Kids VT date night: We went roller-skating at the newly opened Skateland Vermont. For Ryan, it was a nostalgic trip back to fifth grade — he was at a roller rink when he held a girl's hand for the first time and got his first taste of independence. I, on the other hand, had never been on roller skates in my life. I was curious to see, hear and feel what would motivate humans to roll around in circles for hours. How much did you spend on the date? $20 for two tickets; $5 each to rent roller skates. ... on childcare? We were fortunate to have the best kind of childcare known to humankind: our awesomely qualified and totally free-of-charge Nana and Papa, who were visiting for the holidays. High point of the date: When I finally felt comfortable enough to release the white-knuckled grip I had on Ryan's hand. I let go ... and I was roller-skating! He was proud of me, I was proud of me and, more importantly, I was reminded that I'm always OK on my own, especially when I know that my husband is nearby. Low point of the date: It actually happened after the date — when my heretofore unused roller-skating muscles started complaining a little bit. Did you learn anything new about your partner or relationship? Before this date, I had no idea that Ryan spent a good year of his life hanging out at a roller rink. It reminded me how much we each lived before we met one another. We've told each other a lot about our childhoods, but there's still so much about adolescent Ryan that I don't know. What about you, Ryan? My wife looks super hot in roller skates. Alison Novak and her husband, Jeff, spent an evening playing Pac-Man and other retro games at Tilt Classic Arcade and Ale House in South Burlington. Here's how it went. How did you meet? We met in Ms. DeBello's second-grade class in Chappaqua, N.Y. Jeff was a transplant from Winston-Salem, N.C., with a penchant for grey sweatsuits. His fluffy hair always looked freshly shampooed. We became fast friends and, briefly, in fifth grade, boyfriend and girlfriend. Alas, after several months, that ended with an unceremonious breakup on the playground. We drifted into different social circles in middle and high school. But at our five-year high school reunion, we locked eyes and starting chatting. The rest is history. 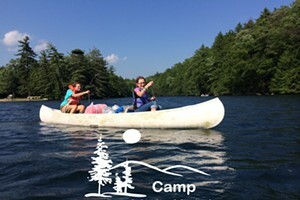 Best date before kids: Five months after we got married, in 2004, we moved from New York City to Vermont. That summer, we bought a guidebook to local hikes and vowed to do as many as we could. We spent Saturday mornings in the car, drinking coffee and listening to "Car Talk" as we headed to one trail or another. I have great memories of those times, being out in nature and doing something physically challenging together. Typical date after kids: We usually go out for a leisurely dinner. Some of our Burlington-area favorites are Misery Loves Co. and A Single Pebble; Hen of the Wood and Trattoria Delia for special occasions. 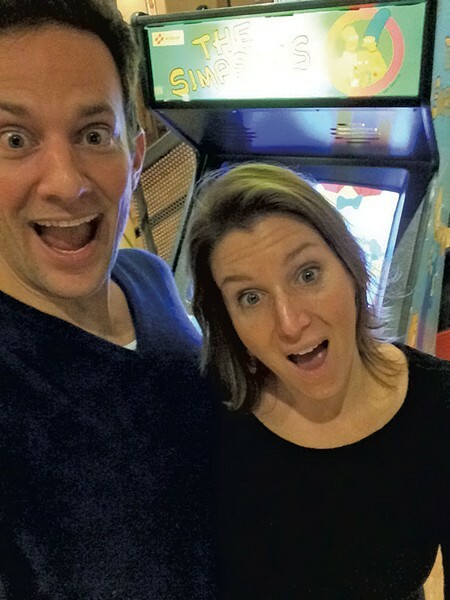 Kids VT date night: We went to Tilt Classic Arcade and Ale House. I read about it in Seven Days and had been wanting to check it out since it opened in July. It's just five minutes from our house. The menu includes mostly local, organic pub food, with many vegan options. I was intrigued. Jeff and I aren't gamers, but we thought it would be a fun change of pace. How much did you spend on the date? $60 for dinner and drinks, and about $10-15 in game tokens. ... on childcare? $40 for three hours. We used a local high school student we found through Front Porch Forum this summer. We pay $12 an hour and always round up. High point of the date: It's been a long time since Jeff and I just vegged out together. We don't really have time to put up our feet after a long day of work, or relax on the couch all day watching bad TV. Hanging out at Tilt was the closest we could get to that kind of lazy indulgence — and still be on a date. We ate delicious fried cheese balls (filled with Maplebrook Farm mozzarella), drank beer and stared mindlessly at big screens. It was kind of glorious. Low point of the date: Most Tilt patrons were clearly more experienced gamers than we were. After watching a guy engage in an epic game of Street Fighter that involved cursing and banging the machine, I felt pretty lame getting beat to a pulp after, like, 20 seconds. The place is loud and doesn't have much ambiance. Jeff declared it "a hipster Zachary's." Did you learn anything new about your partner or relationship? One of the reasons I fell in love with Jeff was his unbridled enthusiasm for life. I don't always appreciate that quality in the day-to-day grind. Laughing together, about something as trivial as Pac-Man, was refreshing. I got to see the fun-loving, enthusiastic guy I fell for. What about you, Jeff? We were both pretty lame at the games, but we just laughed it off. There was another couple there, who looked like they were on a first date. I remember thinking this experience could either make it or break it for them; gaming really brings out the true nature in people. I also remember thinking that if this had been our first date, I'd be pretty psyched about how it went. 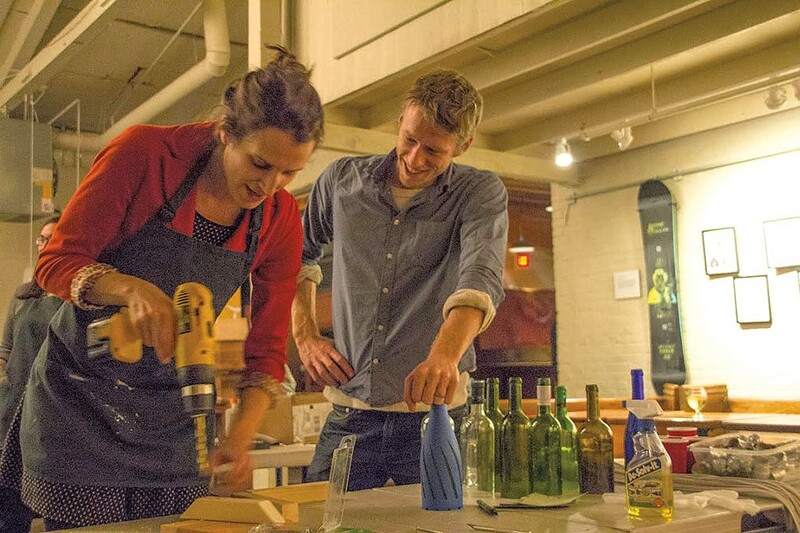 Megan James treated her husband, Daniel Houghton, to a lamp-making class at ArtsRiot in Burlington. Below is her dispatch. How did you meet? We both ended up at the same party during our final semester of college. I went because I had a crush on the guy throwing the party. But I didn't make it farther than the front door, where Daniel stopped me and demanded to know every detail of my senior thesis — and my life. We talked about writing and art and broken hearts, and when we decided to dash across the snowy campus to go dancing, he let me wear his fingerless gloves. Best date before kid: The summer after we graduated, we took simultaneous but separate cross-country road trips (we'd planned them — Daniel with his dad, me with a good friend — before we met). After weeks of tracking each other's westerly progress, we met up at Zion National Park, where we hiked Angel's Landing in the hot sun and cooled off in the Virgin River. Typical date after kid: Lately, after Joni goes to bed, we've been taking our dinner, and two chairs, down to the basement where we open up the door to our wood-burning furnace and watch the fire while we eat and talk. It's actually really romantic. Kids VT date night: We went to a three-hour lamp-making class at ArtsRiot. Local artist Alissa Faber taught us how to make pendant lamps using wine bottles or twine and glue. We recently bought a house and figured we could kill two birds — romance and home décor — with one art class. Plus, I'd heard great things about the food at ArtsRiot, and our class included free drink tickets! How much did you spend on the date? $90 for two tickets to the class; $25 for a burger, General Tsao chicken sandwich and basket of fries, which were all delicious. ... on childcare? Nada! We have friends with a daughter just two months younger than Joni, and we've been babysitting for each other's little ones. It's a great way to save money. High point of the date: Laughing together and gorging on an amazing burger. Daniel says he loved watching me accidentally drill a hole through a plastic worktable as I fashioned a wooden brace for my lamp. Low point of the date: Realizing that I was having a hard time staying awake, let alone operating a power drill, at 8:30 p.m.
Did you learn anything new about your partner or relationship? Daniel doesn't excel at fashioning lamps, but he has a flair for self-deprecation. When he finished his wine-bottle pendant, which he had etched with grass-like markings using acid, he offered this self-assessment: "It looks like it came out of the Walmart Artisan Series." What about you, Daniel? I learned that we both seem to like experiences the most when something quirky goes wrong. I enjoyed watching Megan's glue-and-string lamp collapse in a heap after the teacher told her it was safe to pop the balloon holding it up when it was most certainly not safe to pop the balloon. If everything had gone well, the night would have felt flat somehow. Ken Picard spent an indulgent day at Stoweflake Mountain Resort and Spa in Stowe with his wife, Stacy Graczyk. He shares more below. How did you meet? On Match.com, while I was I living in Colchester and Stacy was living in Plattsburgh, N.Y. She sent me an email, which I overlooked for six weeks. 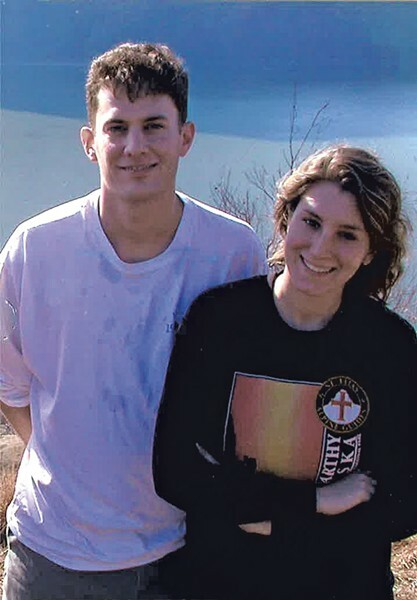 We dated briefly — Stacy calls it our "first pass" — then broke up but remained good friends. After she moved to Burlington several years later, we reconnected and she gave me another chance. Best date before kids: A romantic winter evening wandering around Montréal, dinner at an Ethiopian restaurant, then ice skating on the canal. Typical date after kids: Few and far between. Typically, dinner and a movie when Stacy's sister-in-law visits. Kids VT date night: We had to cancel our previously scheduled date, a sword-fighting class, after I broke two ribs the day after Christmas in a parenting-related injury — I fell from a park play set while spotting my daughter, who was climbing above me. 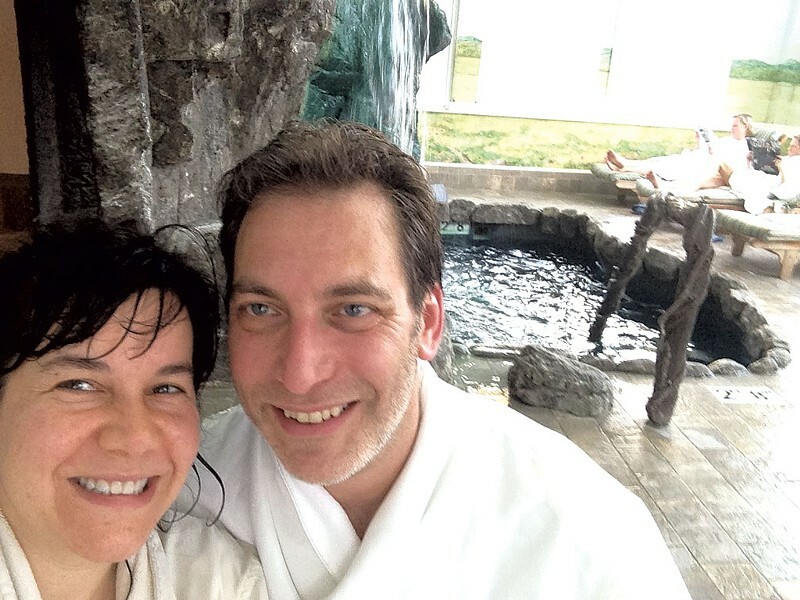 Instead, Stacy and I enjoyed an amazingly relaxing day at Stoweflake Mountain Resort & Spa, which included massages, Jacuzzis, a mineral bath, waterfall pool, a healthy lunch and lots of reading and lounge time. In robes. How much did you spend on the date? About $300, including tax and gratuity. Worth every cent. ... on childcare? Zero. Eighty-year-old Grandma Phyllis drove up from Long Island to spend the day with the kids. All three slept soundly that night. High point of the date: For me, it was the massage and chill time together. Ditto for Stacy, plus the hilarious stories she heard from her masseuse, Marty, who's worked at Stoweflake for 27 years. Also, eating lunch in public wearing nothing but a robe. Low point of the date: Our dinner afterward at Charlie B's wasn't great, but the service and drinks saved it. Did you learn anything new about your partner or relationship? I realized that Stacy got her hair cut the previous day. Also, that she likes wearing a robe in public, and still finds it relaxing to gab throughout her entire massage! What about you, Stacy? I did learn something new about Ken, a story or experience from his past that I'd never heard before, but, for the life of me, I cannot recall what it is now! As for our relationship, I'd say the date strengthened my resolve to commit to regular, at least monthly, date nights. Not that I didn't know that before, but having so much chill time together was a reminder that, "Oh, hello, I remember you now!"